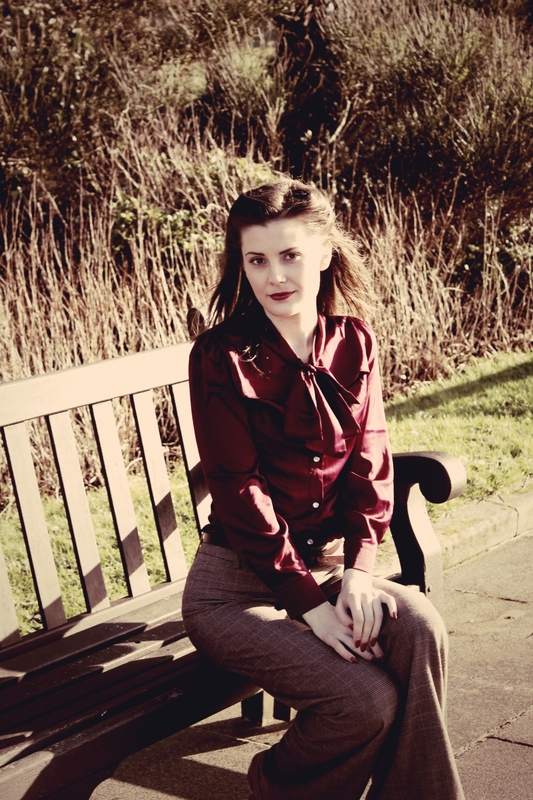 I bought this beautiful blouse in the Lindy Bop sale after Christmas (along with a skirt I'll photograph when I get the chance) and I finally got around to wearing it for a day out around town. Does anyone else but me refuse to wear new things until I've been able to photograph them? It's a weird attitude I've picked up since I started blogging! 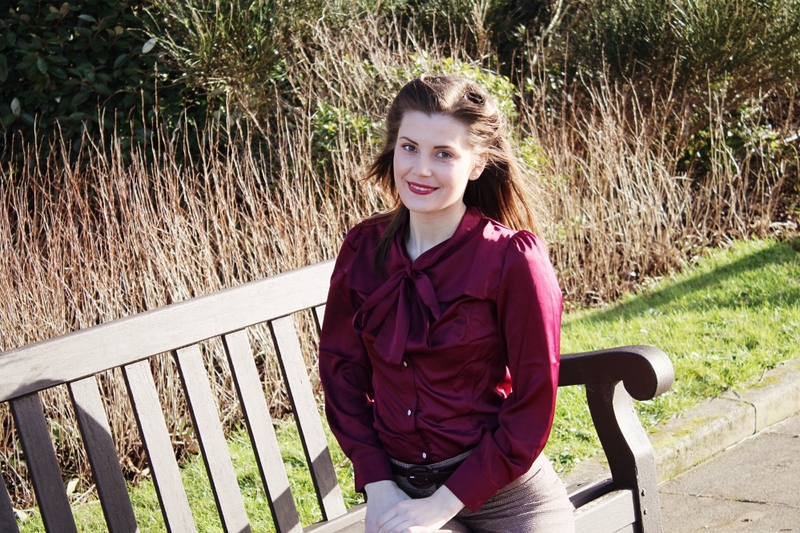 I'm really looking forward to being able to wear it for work though; it's the perfect secretary chic kind of item. 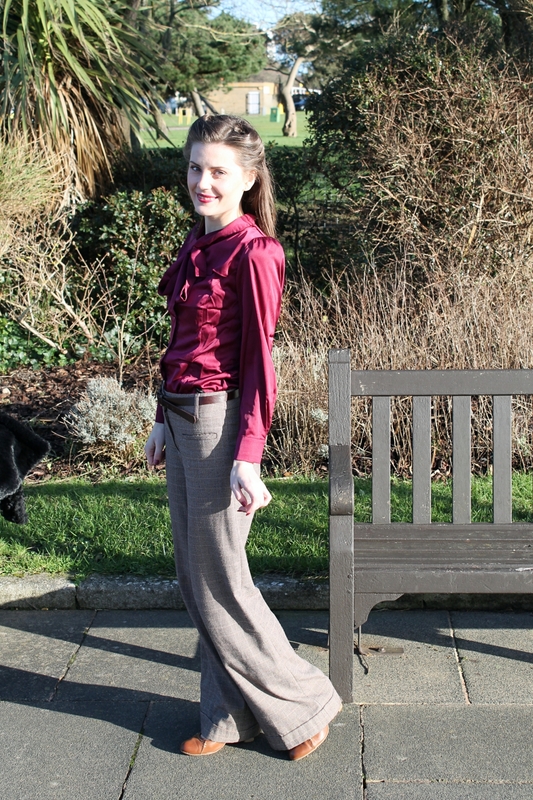 Here I wore the blouse with my wool trousers for a 1940s-inspired outfit which I really enjoyed wearing. Apologies for the creases, I'd been wearing it all day and I Must. Learn. Not. To slouch! Thanks to Lexie for the pictures. I try to not wear things until I can take photos of them, for sure, but sometimes I make the mistake of ironing something ready for the photos, then putting it on anyway because I really like it and having to repeat the process. So your way is much less time-consuming! This is a good Lindy Bop find; I just worry with things like this about the material and how much they make you... 'glow'!! I was a bit worried about the material as well in case it looked cheap, but it's actually a nice quality in terms of the feeling and weight of the material and it's not too shiny or easily creased. It's not "plasticy" like some very cheap satin. 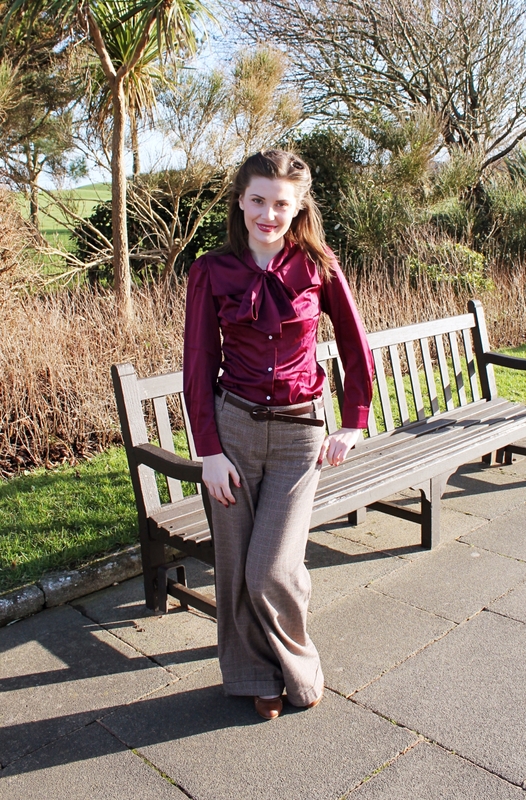 I love the style and colour of your blouse - your trousers are great as well! Absolutely beautiful! That is one of my favourite colours ever. 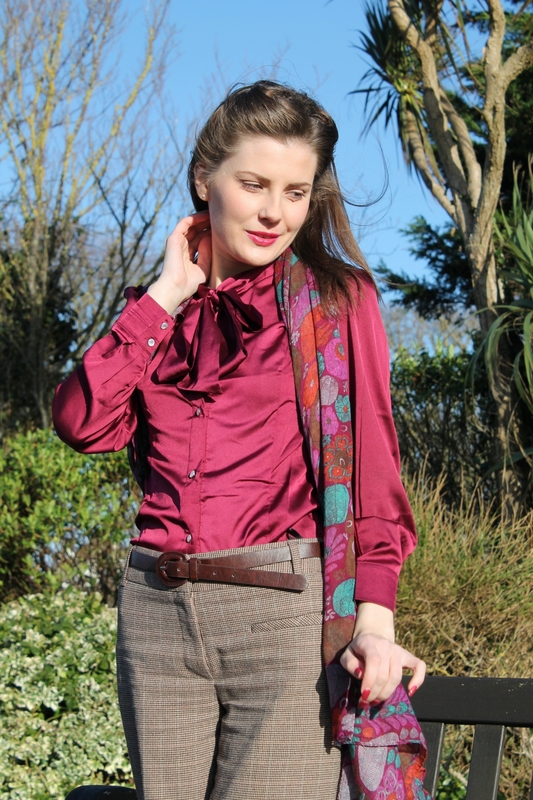 It teams so nicely with a huge array of other shades and seems to suit the winter months especially well.